Felicity (or Flick) is a European privacy and digital regulatory specialist based in the US (Palo Alto) office of Fieldfisher. She has particular experience advising mostly US based clients on the roll out of disruptive and innovative technologies, implementing global privacy and data transfer strategies, vendor management, building global privacy programs, GDPR compliance and other EU digital regulatory compliance issues, primarily in the cloud, pharmaceutical and digital business sectors. She also have extensive experience leading and project managing large multi-jurisdictional compliance projects with an EU focus. 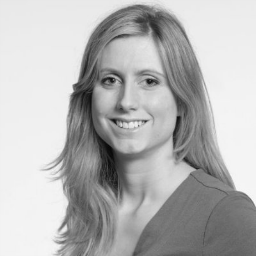 Felicity trained and worked at Osborne Clarke LLP before joining Fieldfisher at the beginning of 2016. She is an IAPP Certified Information Privacy Professional (Europe (CIPP/E) and registered with the Californian Bar to practice EU law as a Foreign Legal Consultant (FLC). Outside of work, Felicity is learning to speak Arabic and is a cycling enthusiast.